What is Nightlase Lightwalker Laser Snoring and Sleep Apnea Treatment? Dr. John Cancelliere employs laser therapy for snoring and apnea, specifically Lightwalker laser therapy, a non-invasive, patient-friendly laser treatment for increasing the quality of your sleep. NightLase reduces the effects of sleep apnea and decreases the amplitude of snoring by means of a gentle, laser-induced tightening effect caused by the contraction of collagen in the oral mucosa tissue. NightLase® LightWalker – a uniquely capable system offering the power of the industry’s highest performance Er:YAG and Nd:YAG dental lasers for expanded dual-wavelength treatment options, including the proprietary TwinLight® Endodontic and Periodontal Treatments. The top-of-the-line LightWalker AT model features the ultimate in convenience and ergonomic comfort and is the only dental laser system on the market that includes built-in scanner-ready technology. NightLase is simple to perform and has a high success rate in producing a positive change in sleep patterns. Research has shown that NightLase reduces and attenuates snoring and provides an effective, non-invasive way to lessen the effects of sleep apnea. Read all about our Lightwalker Laser Therapy for Snoring and Sleep Apnea here. A full course of NightLase LightWalker consists of three separate treatment sessions over a six week period. The final results of the treatment have been shown to last up to a year, and the therapy can be repeated.Patients find NightLase to be a highly comfortable and satisfying solution. NightLase requires no device to be worn during sleep and involves no chemical treatment. It’s a gentle and easy way for you to regain a good night’s rest. A full course of NightLase® consists of three separate treatment sessions over a six week period. The final results of the treatment have been shown to last up to a year, and the therapy can be repeated. 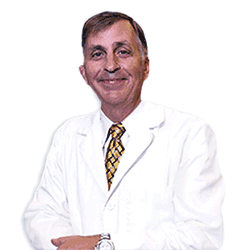 Dr. John Cancelliere is passionate about using the leading edge, best-of-kind technology, and is excited to offer this new technology to his patients in the Naples area. At the Dentistry in Naples, we are proud to be leading the way by offering our patients one of the most exciting new advances in dentistry – non-invasive laser therapy for sleep apnea and snoring. Don’t wait another day, call The Dentistry in Naples at (239) 566-2422 to learn more about laser treatment for snoring and sleep apnea from Dr. John Cancelliere, your NO PAIN, NO FEAR dentist.